Motorola Command Central is Motorola’s end-to-end software that industry reports indicate improves operations from the point at which an emergency call is placed until after the incident is resolved. This technology can be critical for 911 dispatchers who are the first line of communication in the event of an emergency. The software is a 911 communications scalable solution that provides one integrated source of information for incident details, computer-aided dispatch and records intelligence, geospatial data, and real-time alerts from multiple sources. The software can also help reduce administrative overhead and simplify workflows. To accomplish this, Command Central involves four specific software products that can each make a significant improvement in communications ability surrounding public safety. This product enables users to use voice, text, video and mapping all from one console, which can eliminate the need to juggle multiple devices and work stations. It also comes with improved location accuracy, so the location of callers can be better ascertained, and dispatchers can more effectively send help. With this product, users can transform video and data into real-time intelligence. In addition, information can be shared immediately with interoperability between agencies, systems and databases. This product gives public safety officers the ability to capture and record all information in one place. This allows for a comprehensive portal, as well as easy recall and reporting by other users. The software also features advanced logic and context engines that can automate reporting, as well as create and export visuals of information for greater understanding. The Motorola Command Central Analytics help users unify crime data into intuitive views that can improve crime solving and trend analysis. Another feature of the software suite is the broadband Push-to-Talk technology that works across devices, including radio, smartphones, PCs, and of course two-way radios. For advanced public safety, this emergency broadband also allows for priority service and call preemption, so all calls get through every time. 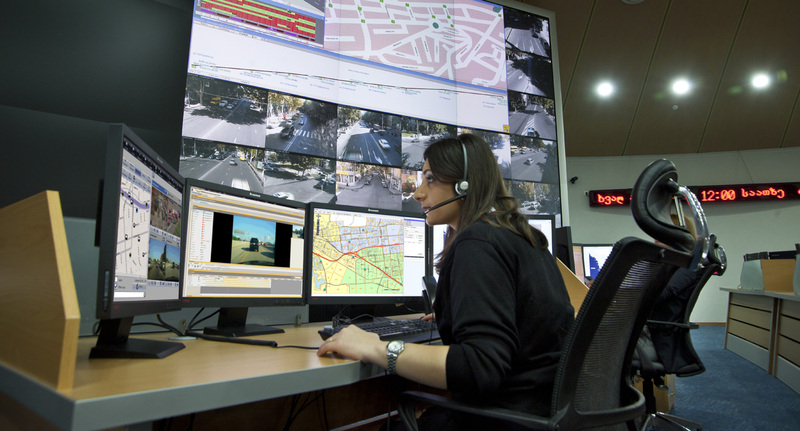 With Motorola Command Central dispatchers get simultaneous voice, data and video information, allowing for a complete operating picture that can immediately help public safety officers in the field. With the software, there is also a means of detecting and verifying threats with more certainty. Users can organize videos based on location or other procedures so that they know where to look first. They can also instantly run searches to investigate suspicious activity. Effective public safety communications is imperative in responding to emergencies and saving lives. Motorola Command Central provides key functionality to take any disaster response system to the next level by empowering users to respond quicker, maximize collaboration and increase situational awareness. To learn more, contact us for a free 911 consultation.